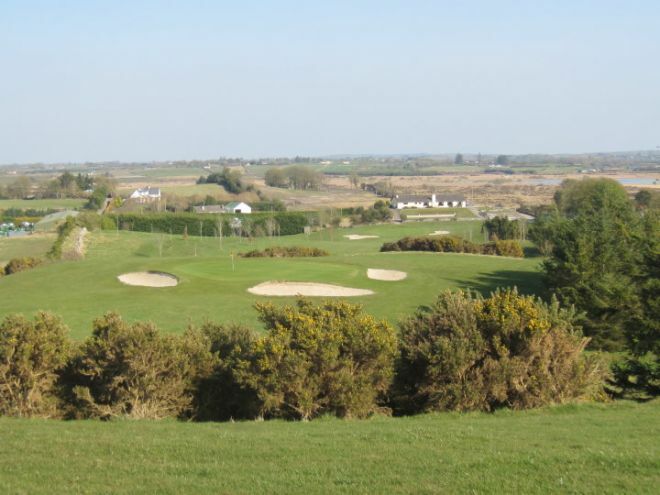 Founded in 1928, Ballyhaunis Golf Club is a lovely 9-hole course with different tee boxes to differentiate the front 9 from the back nine. It is an interesting mature parkland course with mature trees, strategically placed bunkers and attractive spinney all coming into play while playing to the elevated greens. 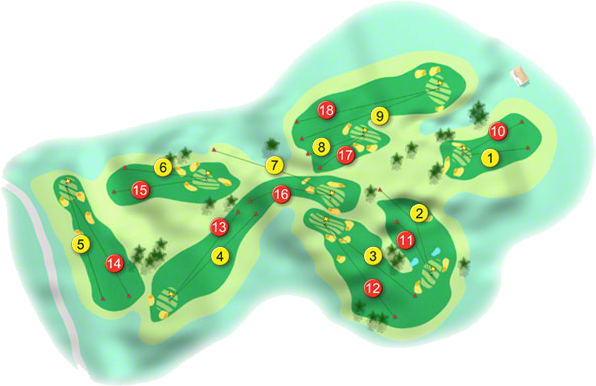 Its feature hole is the 359 metres Par 4 index 5, 9th. The back nine is certainly a few shots harder than the opening nine. 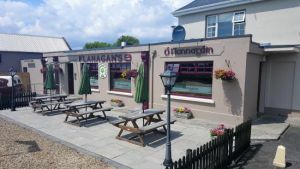 Ballyhaunis is located in a beautiful part of the country only seven miles from the Village of Knock. 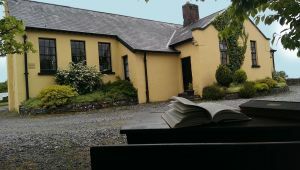 It has a fine clubhouse and the warmest West of Ireland welcomes are extended to visitors at Ballyhaunis Golf Club. 2004 Lady Captain Fiona Prenty (11) and her Captain's Prize Winner Ann Curley (23) were qualifiers with 34 pts. in the Volkswagen-Irish Independent Lady Captain's Classic at Co. Sligo Golf Club in August 2004 they qualified for the National Finals at Hermitage on 4th October. Ballyhaunis Golf Club won the Connaught Shield Foursomes at Oughterard on August 30 2002. The team was Shane Buckley, Kevin Henry, Jarlath Henry (Brothers), Eamonn Feryne, John Jordan, John McNicklas and father and son Pat and P. J. Curley. Shane Buckley won the Mayo Boys Championship in August 2002. Ballyhaunis Lady Captain Rita Mooney and her Captain's prize winner Laurene Freely booked their place in the National finals of the Volkswagen-Irish Independent Lady Captain's Golf Classic. They shot 37 points around Co. Sligo in August 2001. Rita playing off 29 and Laurena playing off 14 went to Druid's Glen for the National finals. K. Fanning qualified for the National Finals of the Irish Times-Mitsubishi Motors Women's Masters. She returned 29 points in the semi-final at Glasson Golf Hotel & Country Club on 23rd of August 2001. Then it was on to Galway Bay Golf & Country Club for the Final on 13th September. Kay Curley and Laurene Freely qualified for the National Finals of the Kellogg's Nutri-Grain Ladies Golf Challenge at Druid's Glen Golf Club on the 21st of August 2001. Rita Hannon(16) teamed up with All-Ireland footballer Jimmy Duggan (10) from Galway G. C., Jimmy was a star on the 1966 team that completed the three in a row, 1964-1966. He hasn't lost his competitive edge, however he credited Rita with their win in the Spar/Irish Independent National Mixed Pairs, regional qualifying at Glasson G. C. where they shot 61 points, in this unique competition, the first six holes are played as a scramble, the next six as foursomes and the last six as singles. They booked their place in the National Finals at St. Margaret's. Ballyhaunis won the Jack O'Sullivan Trophy in 1999.